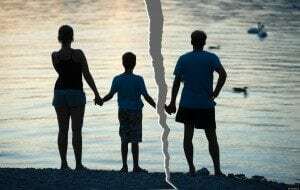 Divorce – Recovery Now, Inc.
Why should we see a Therapist if we have already decided to get a divorce? Ending a marriage is one of the single most stressful events in life and many see divorce as a personal failure and a lot of feelings of guilt, loss, grief, and shame can arise for either person. For each person involved it can lead to confusion, fear about the future and uncertainty of how to put your life back together and move forward. Working with a Therapist can help you to come to terms with ending a marriage and move on with your life. Is divorce therapy just for an individual? No. Every member of the family can benefit from attending therapy during a divorce for various reasons. Many divorcing couples will seek the help of a Therapist because a Therapist may act as a mediator to help the couple separate with minimal hostility and emotional damage. Addressing such important issues like living arrangement and managing parenting responsibilities are just a few of the many concerns that a Therapist may assist with negotiating. In addition significant changes to the family can lead to emotional difficulty for children. Bringing your children to see a Therapist during a divorce provides them with the opportunity to process their feelings of grief and loss and help them to come to terms with the divorce and the new family structure. When is the right stage to get therapy to cope with divorce? Therapy can be helpful at every stage of the divorce from contemplating the idea of separating to adjusting in the months and years after to all of the inevitable changes that will come.